The Health and Wellness staff provides confidential services practicing within professional ethics and laws that protect your privacy. Health and Wellness records are kept separate from all other academic files to ensure that individual privacy and confidentiality are maintained. No information is released without the knowledge and written consent of the individual except for rare instances. This notice describes how protected health information may be used and disclosed by St. Norbert College Health and Wellness Services, and how you can access this information. Please review the notice of privacy practices carefully. A basis for planning your care and treatment. A means of communication among the health care professionals who may contribute to your care. A legal document describing the care you received. A tool with which we can assess and continually work to improve the care given and the outcomes we achieve. Maintain the privacy of your PHI as required by law and provide you with the opportunity to review our HIPAA policies. If the health or counseling staff have reasonable cause to suspect that a child has been, or is in danger of abuse, neglect or threatened with abuse or neglect, a report must be made to a relevant county department, child welfare agency, police or sheriff's department. If the health or counseling staff have reasonable cause to suspect that an elder person is the victim of abuse, neglect, domestic violence or other crimes, a report may be filed with the relevant county department or state official. If the health or counseling staff have reasonable cause to suspect (exercising best judgment and professional care and skill) that you may cause harm to yourself or another person, steps may be taken to notify or assist in notifying a family member, personal representative, college official(s), police and/or anyone else who may help maintain your or another’s physical safety. A plan may be developed which requires an assessment for commitment proceedings. If you are involved in a court proceeding and a request is made for information about your diagnosis, treatment and/or mental health records, such information is privileged under state law and will not be released without written authorization from you or your personal or legally-appointed representative. The privilege does not apply when a third party is evaluating you or where the evaluation is court ordered. A court order may also require – without your consent – the release of health and counseling records. We may disclose your health information under certain circumstances to military authorities. Health and Wellness Services may disclose to authorized federal officials, health information required for lawful intelligence, counterintelligence and other national security activities. Health and Wellness Services may also disclose health information for law enforcement purposes as required by law or in response to a valid subpoena. As required by law, we may disclose your health information for investigative purposes. For example, if the State of Wisconsin Department of Safety and Professional Services requests that we release records to them in order for the Medical or Psychology Examining Board to investigate a complaint against a provider, we must comply with the request. Health and Wellness Services may disclose your health information to public health or legal authorities charged with preventing or controlling disease, injury or disability. Health care providers may consult with other practitioners to help mange and coordinate your treatment. Administrative staff (e.g. office manager/receptionist) may also have limited access to your PHI. 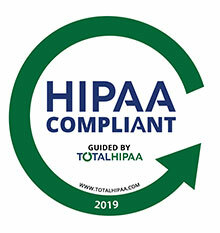 Health and Wellness Services has been certified HIPAA compliant by Total HIPAA Compliance.